In Germany and in some parts of Austria, Hornets enjoy special protection. It has now been proven that Hornets only attack for absolute self-defence, i.e. if they are pursued directly. Their sting is no more dangerous than that of a Bee. Only two species of Hornets live in Europe. Together with the small species of Wasps, these belong to the family of True Hornets (Vespinae) or Eusocial Wasps (Vespidae). These in turn, like for example the Bee family, belong to the large group (order) of Hymenoptera (meaning “membrane wing”). The Hornets feed off of nectar, fruit and plant sap, but they feed live captured insects and larvae (animal protein) to their offspring. To do this they also catch large able-bodied insects and therefore fulfil important regulating tasks in the species structure of nature. If this relational structure is disrupted, the probability of mass reproduction of insect species that are undesirable for humans, such as the Bark Beetle, increases. Did you know that a large Hornet colony feeds up to half a kilo of insects – Horseflies, Daddy Longlegs, Caterpillars, Wasps, etc. – to its young daily? 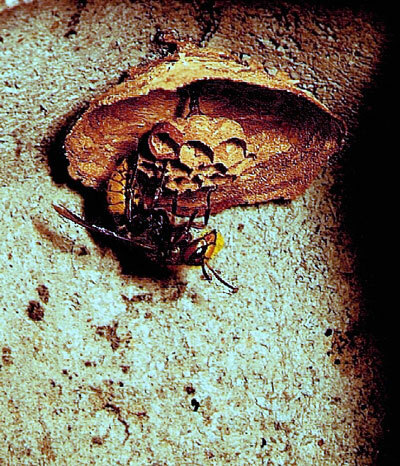 Especially during the time in which the nest is established, unfavourable factors such as bad weather, food shortage or the lack of suitable nesting options, which overstrain the young Hornet queen in her attempt to find a dry and safe place to build her nest and keep warm. Here the SCHWEGLER Hornet Starter Box can help! Based on the latest Hornet conservation findings, it provides ideal climatic conditions for the young colony. The unique entrance, for which a patent is pending, minimises unwanted occupation by Birds, Bats and Mammals. 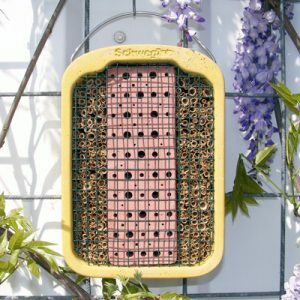 The SCHWEGLER Hornet Starter Box is suitable for beginning the nest and as a safehouse for smaller or late Wasp or Hornet colonies. If the colony grows favourably, from a certain size a filial colony is formed or the colony moves into a larger roost. We recommend our SCHWEGLER Hornet Box (Order No. 00 360/7). In general, it is always advisable to use the Starter Box in combination with the SCHWEGLER Hornet Box. Siting: A minimum height of 1.5 metres is recommended, sunny locations are preferably accepted. In order to increase acceptance. Please note that the approach area should be hardly frequented by humans. For optimum development, the distance from the larger SCHWEGLER Hornet Box should generally be around 10 to 50 metres (can vary depending on the surroundings). External dimensions: W 16 x H 35 x B 16 x D 17 cm. 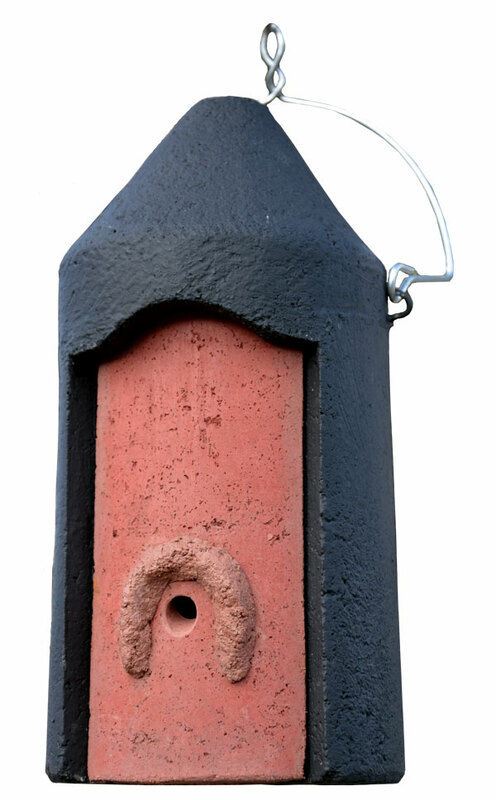 Includes: Nest box, galvanised hanger and aluminium nail.